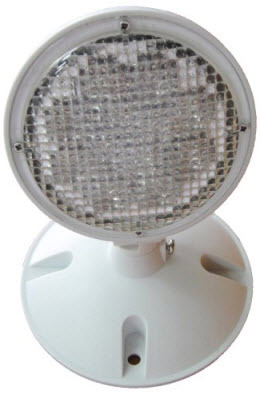 LED weatherproof remote emergency 1-head fixture works with emergency lighting where it can be used outdoors with a full emergency light. It's important to meet local codes for emergency lighting for the safety of people that use their building. - To be used with remote capable emergency lights. - Do not use with incandescent or MR16 units.